I have so many different tools for cleaning, and it's so hard sometimes to keep track of what cleans or has cleaned what and needs replacing, and most of the time when I am cleaning I always wish I had better tools. Cleaning is hard! Why not make it easier if you can. 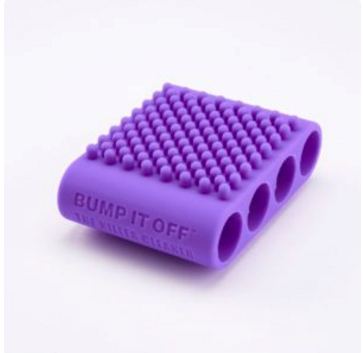 I love how many uses Bump It Off has, and that they are just $9.99 each! You can purchase Bump It Off at some select pet stores or online here.